[HOT NEWS] NEW HALL, BIGGER SPACE, NEW EXPERIENCE IN COSMOBEAUTE INDONESIA 2017! 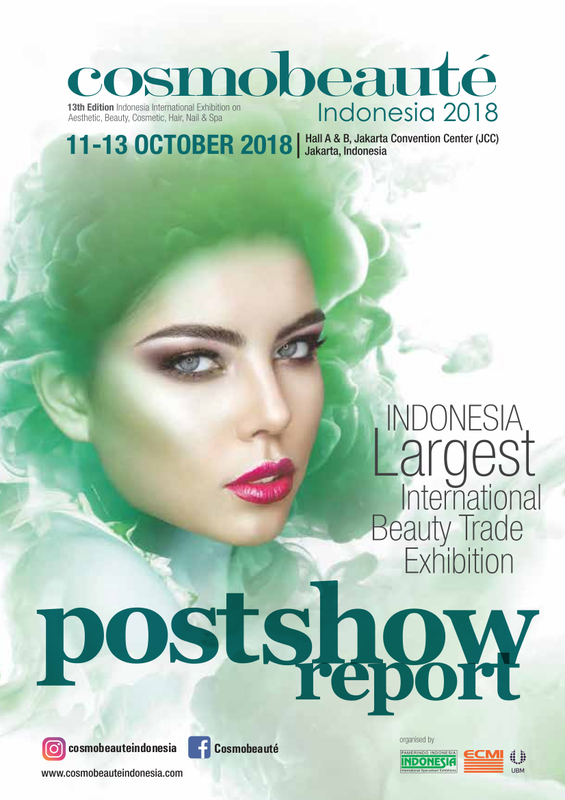 Cosmobeauté Indonesia have been receiving overwhelming responses both from visitors and exhibitors for the previous years. Continuing the successful conclusion of the 11th edition last October, we are delighted to announce Cosmobeauté Indonesia 2017 will be shifted to a larger hall – Hall A & B, located in Jakarta Convention Center, Indonesia. The exhibition will not only feature a bigger variety of product and services categories, but also improving the value and quality of the exhibition with additional of premium brands and products for the benefit of local beauty market. “It has been a struggle for us of not having enough exhibit space to offer to new customers, hence now we are glad to announce the new shift of hall, catering to more international and local exhibitors! We believe next year will mark another milestone for Cosmobeauté Indonesia, in terms of space area!” said Mr Cp Saw, founder of Cosmobeauté series of leading beauty trade exhibition in ASEAN region. “Aside from accommodating to overwhelming responses from international exhibitors, we believe this hall shift to Hall A&B will be the right choice to also promote the colour and uniqueness of locally made products, which arise many international interests throughout past year exhibitions,” said Mrs Juanita Soerakoesomah, Managing Director of PT. Prakarsa Sinergi Utama / PT ITE Exhibitions Indonesia. Cosmobeauté promises to drive further the beauty, hair, nail, aesthetic and spa industry in Indonesia, not only from the sourcing and business networking aspect, but also the education growth which seen to be equally essential to uplift the quality of the beauty market and industry as a whole. With the bigger space in Hall A&B, Cosmobeauté Indonesia 2017 will be able to host more international events, talks, shows, demonstrations and launches, enhancing your visiting experience at the same time! New Hall, New Features, New Experience, all coming to you in October 2017! Mark your date 12 – 14 October 2017 at Hall A&B, Jakarta Convention Center (JCC), Indonesia!